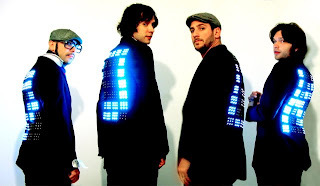 LED Jacket: LED fashion for men – ¿¡ tjongolongo ?! The lights on the jackets even scroll into symbols and spell out the band’s name. All in all I think this is yet again another cool LED design. I don’t think the world of fashion has seen the last of LED designs. I also think that this new LED fashion can be interesting stuff to work with for those in the clothing industry, a lot of branding and communication potential. I wonder how long it will take before LED clothing will become mainstream. What do you think of LED fashion? Will it ever go mainstream?